Tool and Die Services encompass a range of services relating to the design, construction, and repair of fixtures, jigs, molds, die sets, etc. which are used in metal forming, injection molding, etc. Tools and dies are used in the manufacture of other products, such as metal stampings. Die design and die making in particular often involves tight tolerancing, precision fits and assemblies, and unforgiving materials such as tooling steels. 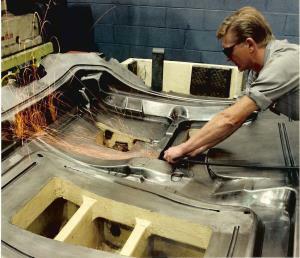 Some tool and die makers offer production services such as stamping out parts with their in-house presses. Others strictly make the tooling, leaving the use of them to others. Many tool and die makers will incorporate design as well as repair services in their service offerings. Tool and die services employ similar machining methods and equipment as general machining shops but the work tends to be more intricate and the die sets themselves quite costly. Some tool and die makers specialize in a particular kind of tooling, while others specialize along industry lines, while others are more or less generalists. Tool and Die Making is the machining and assembly of precision jigs, fixtures, die sets, etc. used by other machines to make parts. Tool and Die Repair focuses on the repair, refurbishment, sharpening, etc. of existing die sets, etc. Tool and Die Design is the necessary first step to producing any complex die set or fixture--designing it before any metal is cut.